The Williams Formula One team’s dramatic fall from grace shows no signs of abating, with drivers Lance Stroll and Sergey Sirotkin at a loss to pinpoint any particular problem plaguing their car. 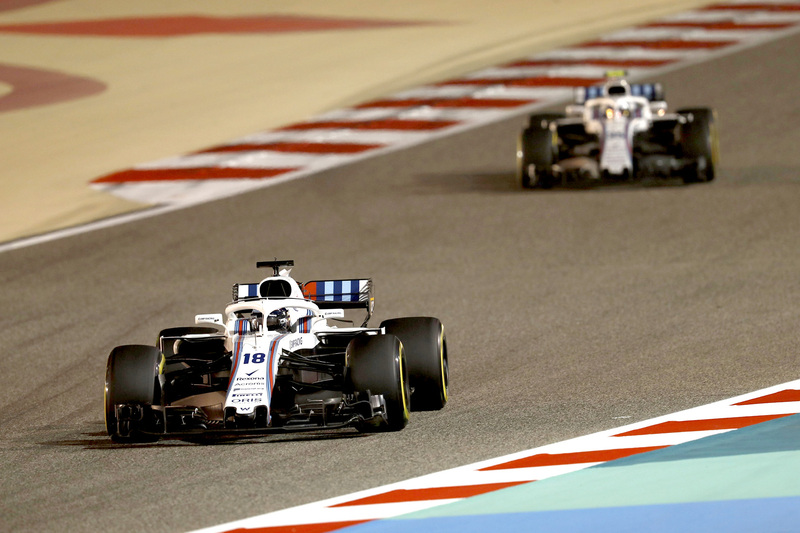 Williams suffered a torrid Bahrain Grand Prix, with Sergey Sirotkin and Lance Stroll qualifying 18th and 20th before reversing positions and finishing 16th and 17th — last of all bar Sergio Perez and Brendon Hartley, who were demoted to the bottom of the classification with 30-second time penalties. It’s difficult to believe that the team finished fifth in last year’s standings and third in 2014 and 2015, but the Grove outfit, the only team yet to score a point in 2018, appears as distant from a solution to ills as ever. “Difficult,” was Stroll’s one-word summation of his car. “Handling is very challenging, but also a little inconsistent, because at times, like in Australia, I thought the car wasn’t good, but much better than it was in Bahrain. As if to highlight just how far Williams has slid since last year, Stroll’s best qualifying time in Bahrain this season more than 0.3 seconds slower than his best effort 12 months earlier. “There’s a lot of things to address,” he said. “We were losing time on the straights. We haven’t improved. We improved a bit in the corners, but not even close to the extent we were hoping for. “It feels like we’re limited. We have a lot of limitations with balance, with overall grip. Rookie Sirotkin, after just two races in Formula One, had a different and somewhat contradictory take on the car’s performance problems. Williams used the race in Bahrain essentially as an in-season test, gathering data on all three available tyre compounds and gaining what will hopefully be useful information in decoding the car. Sirotkin, however, was remaining tight-lipped on what was discovered. “It’s not one thing,” he said. “Obviously we both know I’m not going to tell you. It would be easy to assume that the team Is not yet clear on what the problem is, and with a recent history of poor in-season development, it would be similarly easy to believe that the problems could remain unrectified for some time to come. If the drivers differ in their assessment of the car, where there can be doubt is that there can be no quick fixes. “Obviously the car hasn’t returned to Europe and it’s only been a few days between Bahrain and this race, so it’s not a secret we’re tight on time to make any big changes,” Stroll said. It will be a serious test of Paddy Lowe’s technical stewardship since switching from the championship-winning Mercedes team at the start of 2017. On his watch the team made a sweeping philosophical change to the design of the car. If it remains the slowest of the field, it could prove a black mark against his reputation.